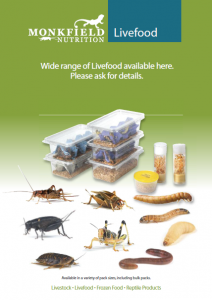 We are now stocking Live Feed & Frozen Food for Reptiles ! Give is a shout with your n eeds ! Previous PostPrevious Christmas Pressie Ideas ? Next PostNext Want a new member of the family ?